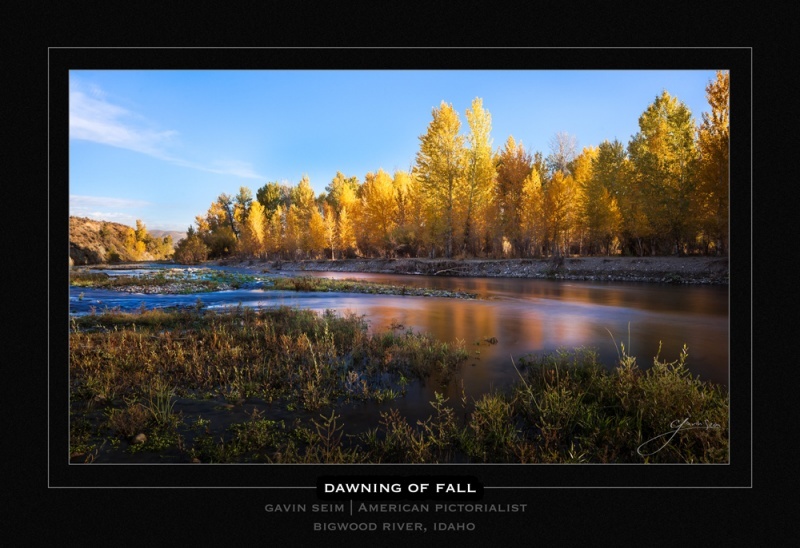 ← Day 25 – The Great Fall PHOTOGRAPHICS Road Trip Diary. This was a great free camping area right here and we stopped for the night just before sunset, hopped in the car and went out filming for our new PHOTOGRAPHICS film and looking for landscapes. I had not done enough pre-scouting and did not find anything. After sunset I did further scouting for morning and found this little spot tucked down a steep trail. Nathan and I both walked in early the next morning after a cool fall night and a bit of sleep The light cam over the trees and gave us a beautiful illumination of the Fall color before quickly becoming too harsh. But that’s the things about stunning light. You just need to be there at the right time. Release details: Prints Available.. Order Open Edition originals above.. Master prints and Signature Limited Editions are listed below and can be ordered by contacting gallery. I processed with a quick application of the Super Simple preset from Power Workflow (http://seimeffects.com/pw). The finishing was mostly tonal in nature using careful burns and dodges like what talk about in the EXposed Workshop (http://seimeffects.com/exposed). Controlling the values to keep the brilliant color of the trees at around Zone 7+ and the shadows in the 2-r range helped bring out the depth and line. The skit while not filled with clouds as we often look for is smooth and brilliant, resonating the feel of a a crisp fall morning. I composed so that not too much sky showed however to prevent the space from becoming a distcation. This entry was posted in beauty, color, f164, Fine Art, journal, nature, signature, travel and tagged american, bigwood river, boise idaho, f164, gavin seim, pictorials. Bookmark the permalink.